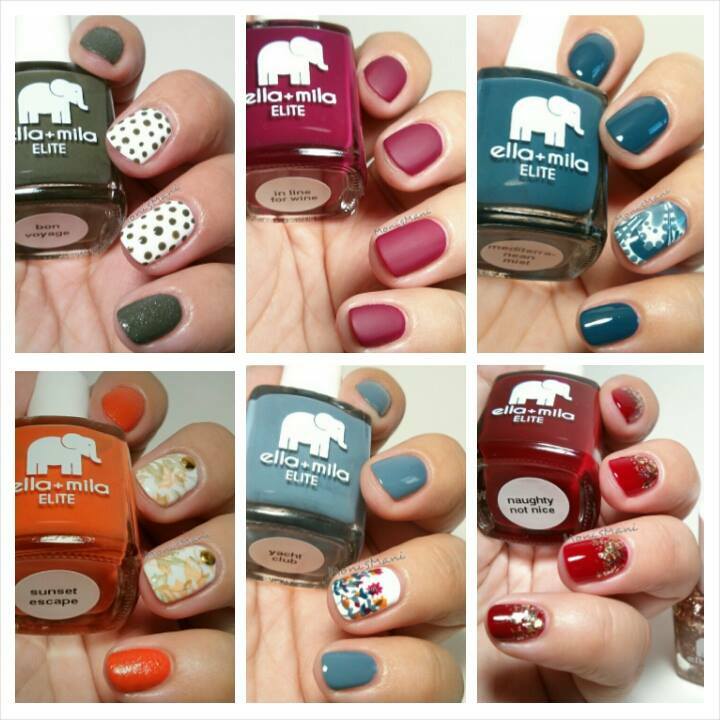 So excited to finally be bringing you my review of the ella+mila elite collection. It is a little overdue but there was so much I wanted to tell you that I needed a LOT of time to actually sit down and draft this post. So as you know ella+mila is one of my favorite indie brands, they have beautiful presentation (the box and bottle are super cute), the formulas are always amazing, and they are the sweetest people to work with! 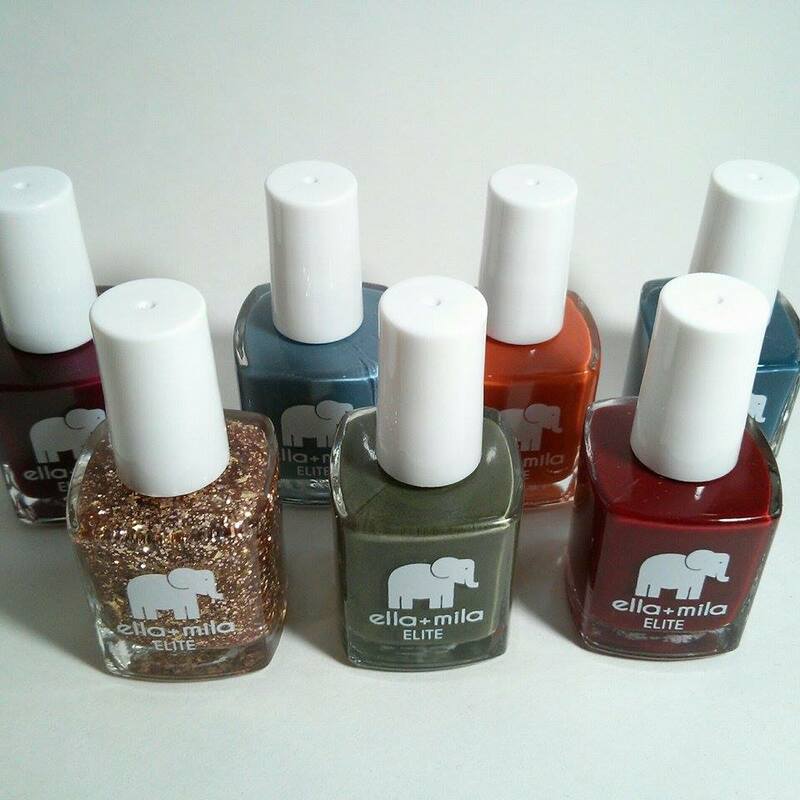 Their fall collection is made up of 7 colors which I’ll introduce to you one by one. Please forgive my nubs, this was right after my move so my nails were in bad shape, nonetheless these colors look amazing even in short nails. 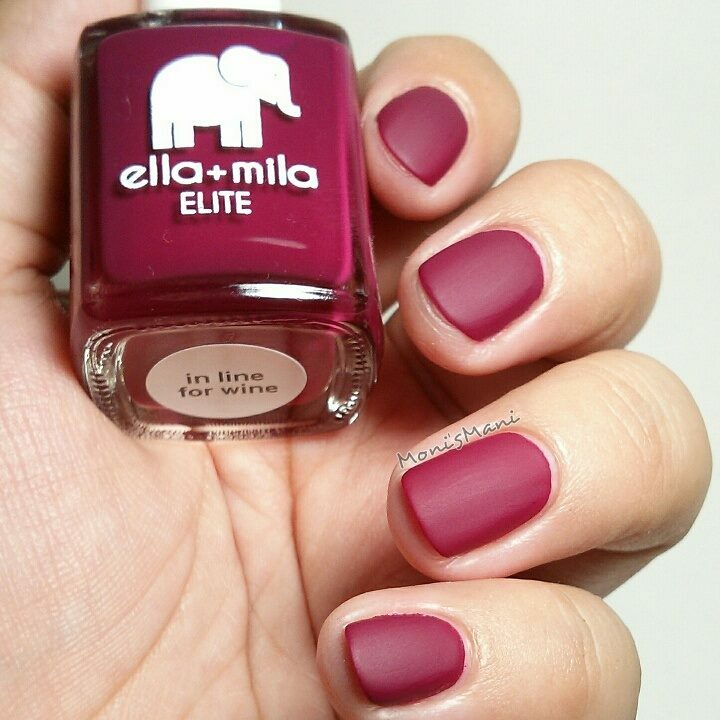 *In line for wine- THIS color is my favorite fall color of 2014. It is absolutely gorgeous! 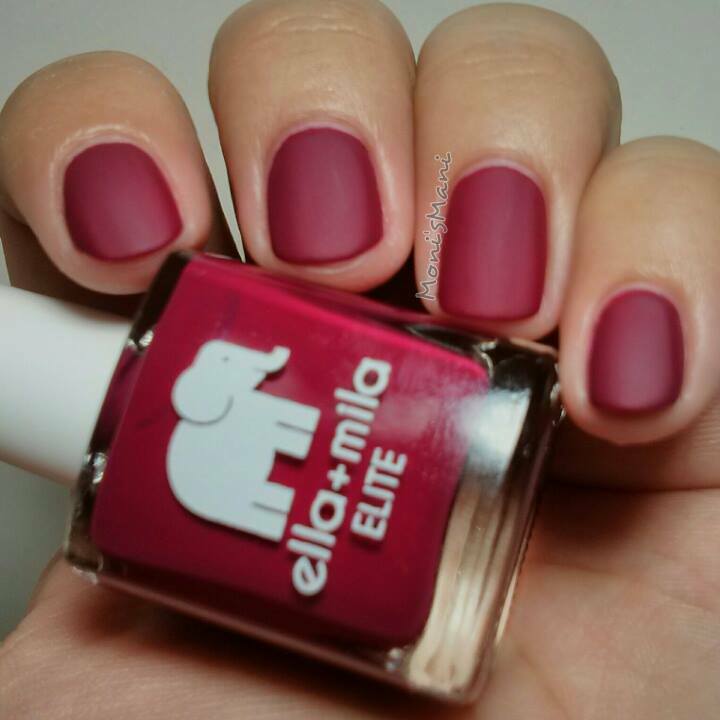 A beautiful deep red crème that dries matte. I obviously had to top coat it using their matte-ly in love top coat (which is amazing btw). This swatch is what started my current obsession for matte nails. 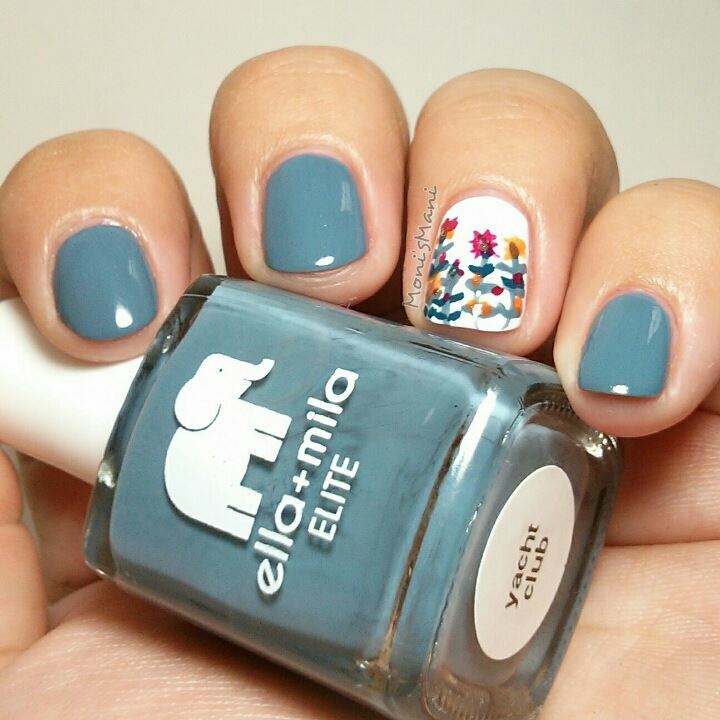 *Yacht Club- a beautiful bluish gray crème with amazing formula. Grays are a fall must have in my opinion and this is one is the perfect shade, not too light not too dark. 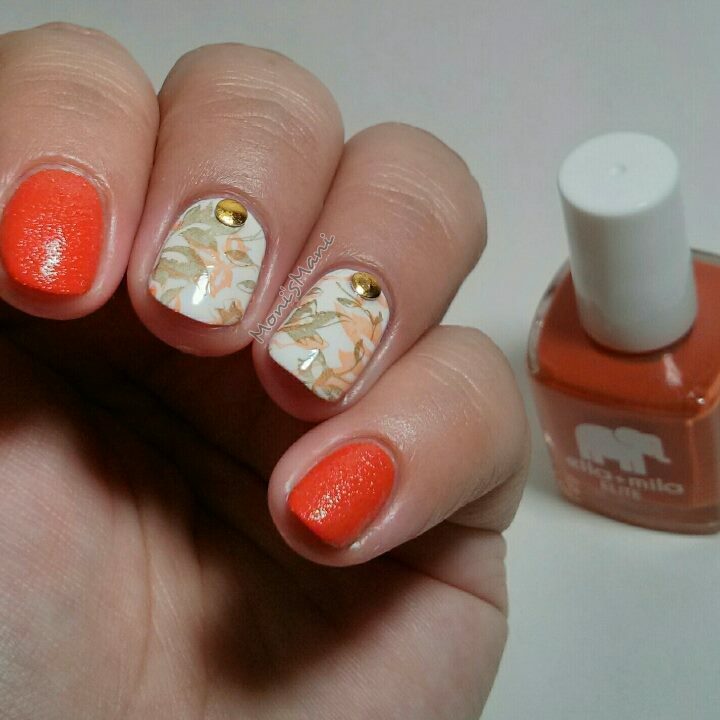 For this mani I drew inspiration from fall themed stationary and went for a fall floral accent nail using their Pure Love as base and all the colors from this collection for the flowers. Hope you like it! *Naughty not nice & Dripping gold- gorgeous bright red crelly, great formula fully opaque with two coats which for some reason seems to be a little hard to achieve sometimes. 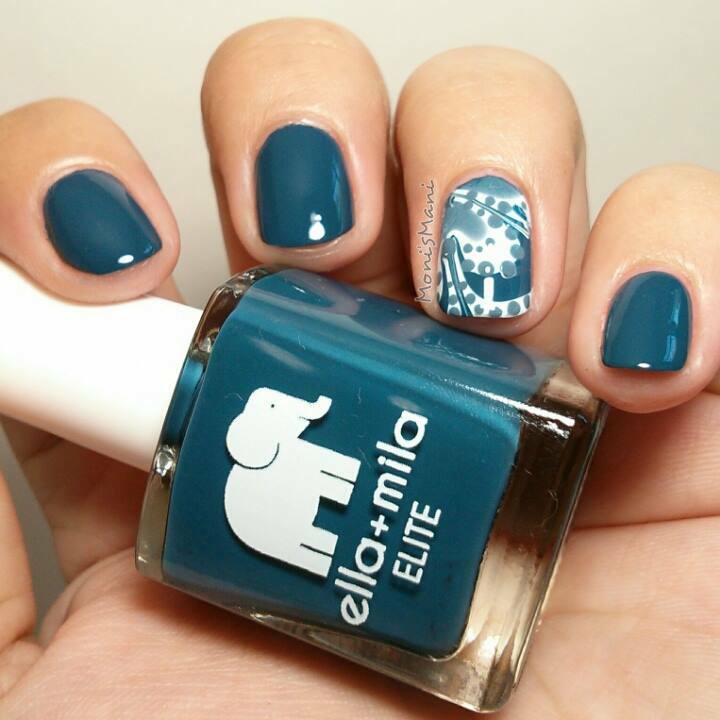 ella+mila makes polishing easy! 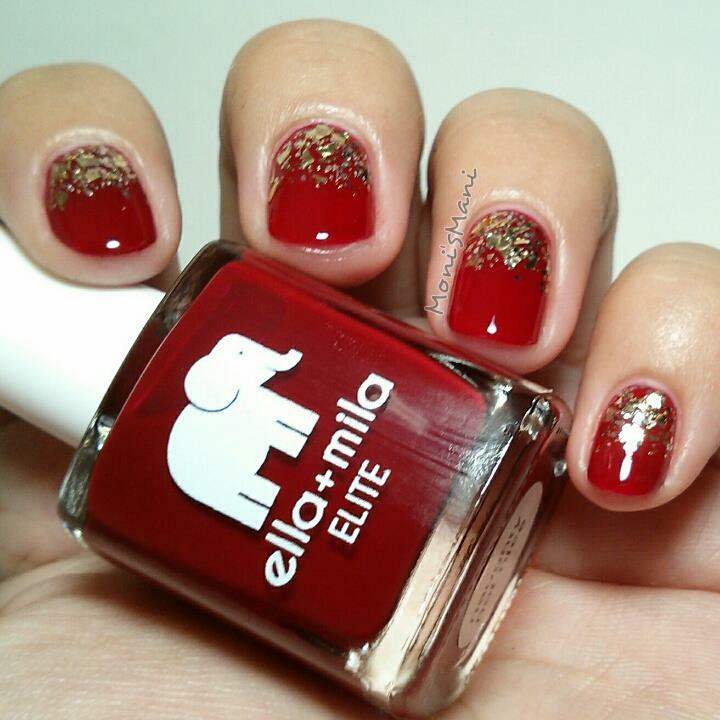 I accented this with their Dripping Gold which is a foil, round, hex glitter with micro glitter all in gold. 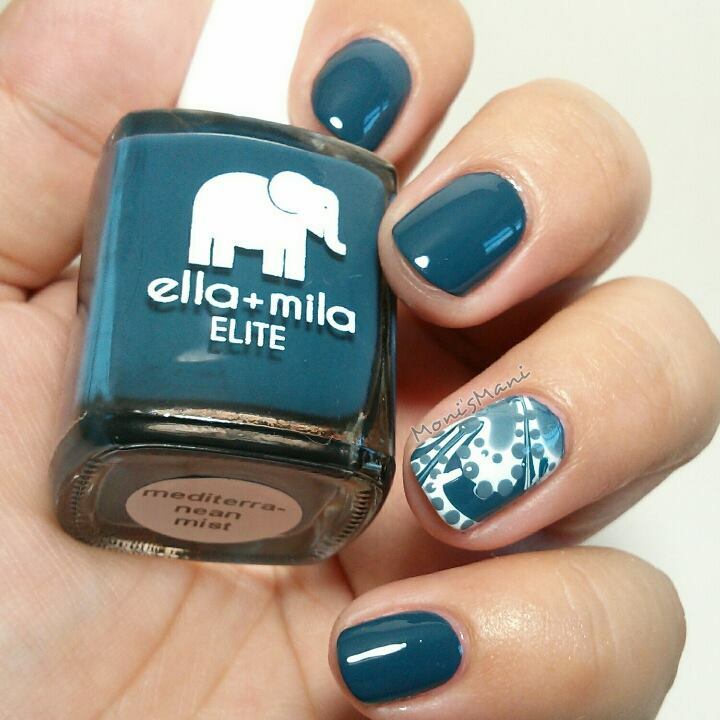 Very pretty and perfect to add a touch of elegance to any mani. 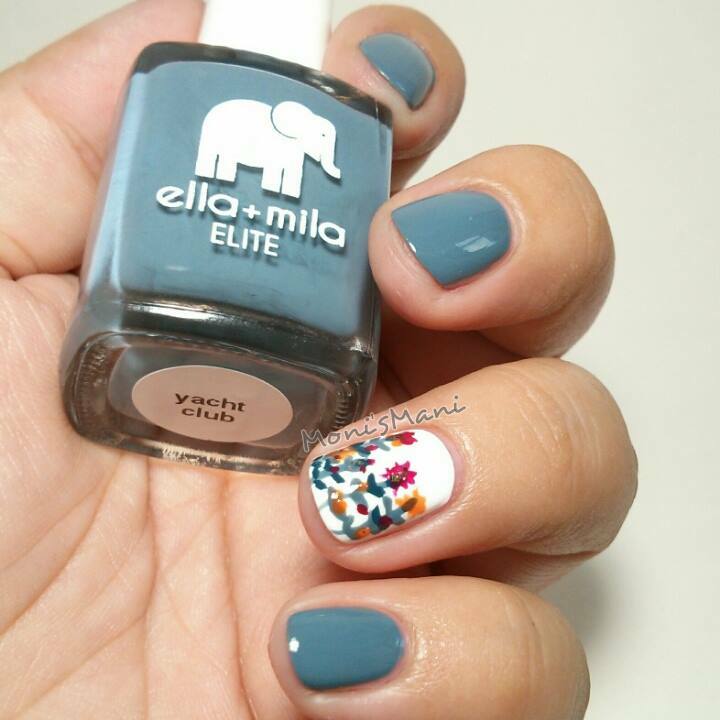 *Mediterranean mist- I LOVE all things Mediterranean 🙂 and this gorgeous dark teal crème is no different haha, to tell you the truth it very much reminded me of OPI’s Ski Teal we drop, this one being a bit more on the bluish side with one HUGE plus, doesn’t stain. I love these types of colors but hate the staining they sometimes cause so I was very happy to see that it is not the case with this baby. For my accent finger I did a water marble using their Pure Love as base and Yacht Club and Mediterranean Mist in the water marble. Again these polishes proved to have the perfect formula for this technique as the water marble worked at first try even for a wm newbie like me. *Bon voyage- bring on the dotticures!! 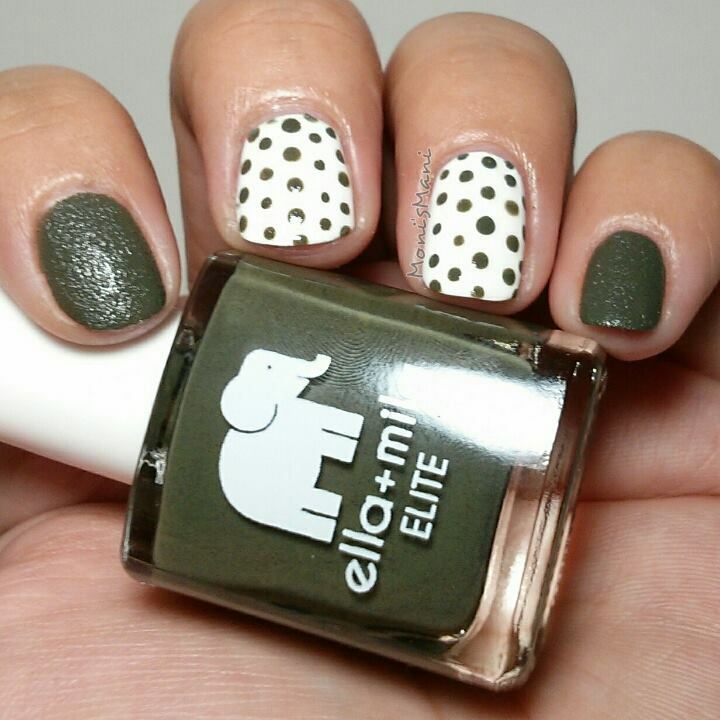 I love dotticures! this is only my second ever olive or camo green and I loove it! this is two coats of it with no top coat, lasted about four days which is amazing for me as my nails usually last 2 days max. the white base is of course their Pure Love. Thank you so much for reading! 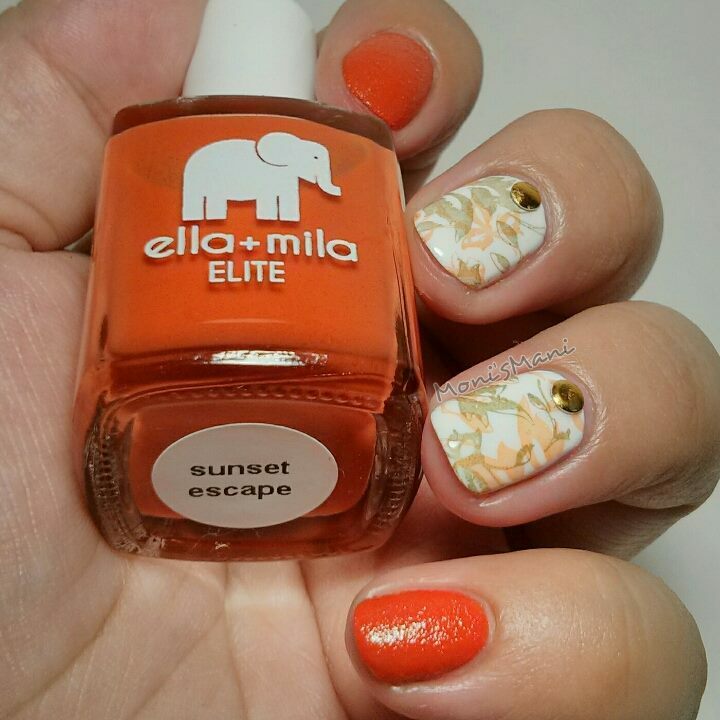 and if you have ever thought of purchasing ella+mila DO IT you will not regret it! their formulas and colors are to die for! Did you know ella+mila is available at Anthropologie ? ?